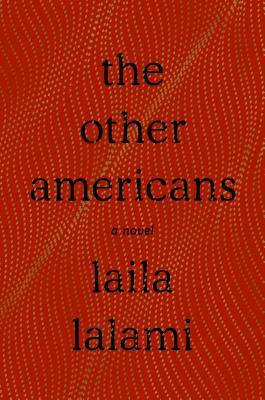 We are delighted to welcome back a favorite writer, Laila Lalami, here tonight with a much anticipated new novel, The Other Americans (Pantheon). A recipient of the American Book Award, the Arab American Book Award, the Hurston/Wright Legacy Award, and a finalist for the Pulitzer Prize for her past books - Hope and Other Dangerous Pursuits, Secret Son, and The Moor’s Account - she delves into timely territory with this story of the mysterious death of a Moroccan immigrant in the present-day U.S.
“Remarkable, timely novel. Impeccably written story about a hit and run, a family that must grapple with their grief as they try to make sense of why they’ve lost Driss, the patriarch, and the slowly unraveling mystery of who is responsible for the unthinkable. I love the depth of character here for Nora and Jeremy. The narrative is good from many points of view but theirs is the heart of this story and what a beautiful beating heart it is.” —Roxane Gay. “This deftly constructed account of a crime and its consequences shows up, in its quiet way, the pressures under which ordinary Americans of Muslim background have labored since the events of 9/11.” —J.M. Coetzee. Free admission, no tickets are needed. Co-presented with the SEATTLE PUBLIC LIBRARY. More information here.